Dr. Sarah's Essentials Comfy Cream is an all-natural, topical ointment for bruises, inflammation, infections, and other injuries. Comfrey has been shown to increase healing time and is the main ingredient of this natural first-aid cream. Comfy Cream also contains arnica and calendula which have been used for generations to help heal a variety of injuries including bruises, sprains, swelling and inflammation. This product's pure essential oils were selected for their antiviral, anti-inflammatory, antibacterial, antifungal effects, and great tissue healing potential. 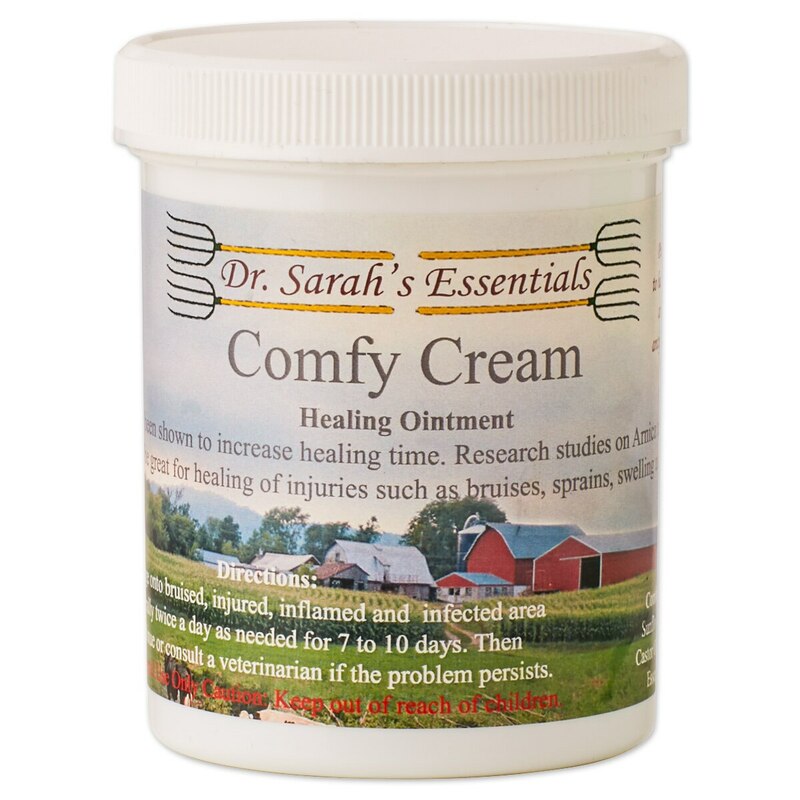 Dr. Sarah's Essentials Comfy Cream is a great natural first-aid option that you are sure to reach for time and time again. Massage onto bruised, injured, inflamed and infected area liberally twice daily as needed for 7-10 days. Comes in an 8 oz tub.